Sunflower State reverts to "God's Time"
TOPEKA, Kan. -- The state legislature here has voted to return to standard time on a year-round basis. 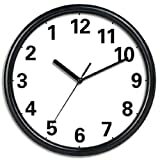 Following a 63 to 21 vote, legislators passed a law repealing the adoption of Daylight Saving Time in favor of keeping the state's clocks set on Central Standard Time all year. Burnett "Bud" Jameson (R - Monroe County), speaking in favor of the measure said, "When God created man, He took exactly seven days—not five days, not seven days, exactly six days. That's exactly 132 hours* — not 131, not 133, exactly 132. So we've got no business monkeying around with the intelligent design of the 24-hour clock that God set in motion when He started time here in the U.S. around 6000 years ago." Jameson, a supporter of the Kansas Board of Education in its fight to introduce teaching of alternatives to evolution in the state's schools, added, "Turning back the clock in the Fall is like ripping pages from the Bible." While the effects of this change are likely to be minimal to most Jayhawkers, transportation to, from and through Kansas is expected to be disrupted and travelers are expected to be totally confused, with the most confusion among travelers who make airline connections through the state's airports. The Kansas move comes only months after Indiana's governor signed a law that will at last put that entire state on Daylight Saving Time starting next year. Whether Indiana will adopt the Central or the Eastern time zone is still in question.